Mazda has been trumpeting its "gram strategy" to cut weight on all of its products, and the best example of how this philosophy works is in the new MX-5 GT race car. 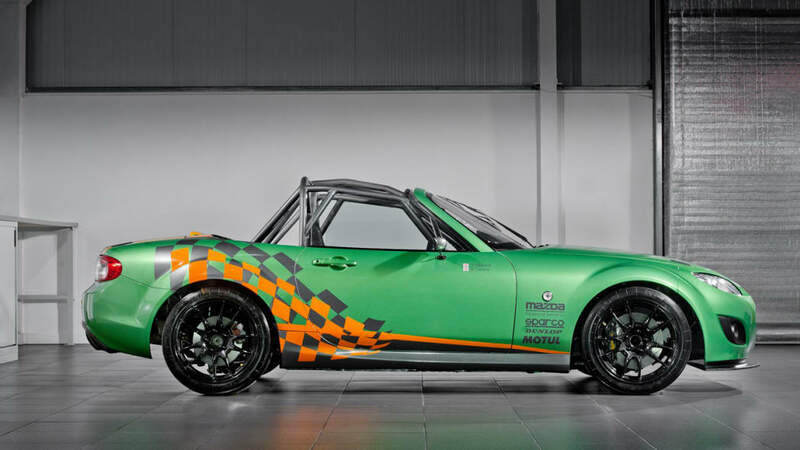 The roadster, which will compete in the Britcar MSA British Endurance Championship this year, weighs just 1,874 pounds while packing nearly twice the punch of the standard MX-5. The heavily modified MX-5 engine produces 275 horsepower – enough juice to propel the light-weight roadster to 60 miles per hour in a scant three seconds flat. 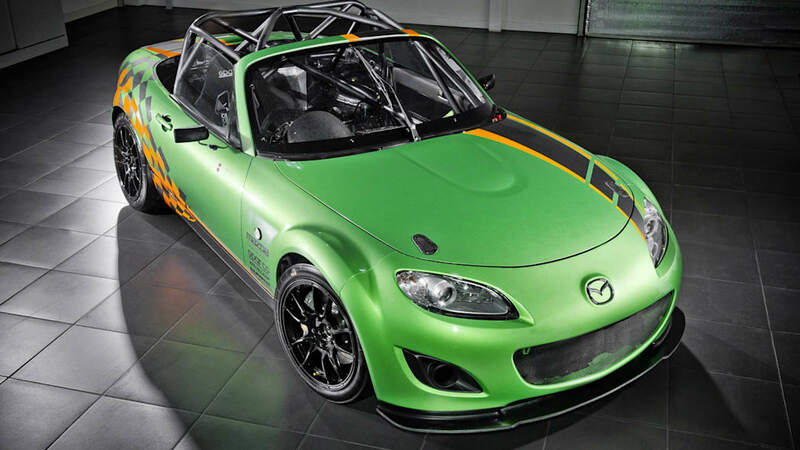 The race-ready Mazda can also crest 160 mph while looking damn fine with its new Spirited Green paint job. 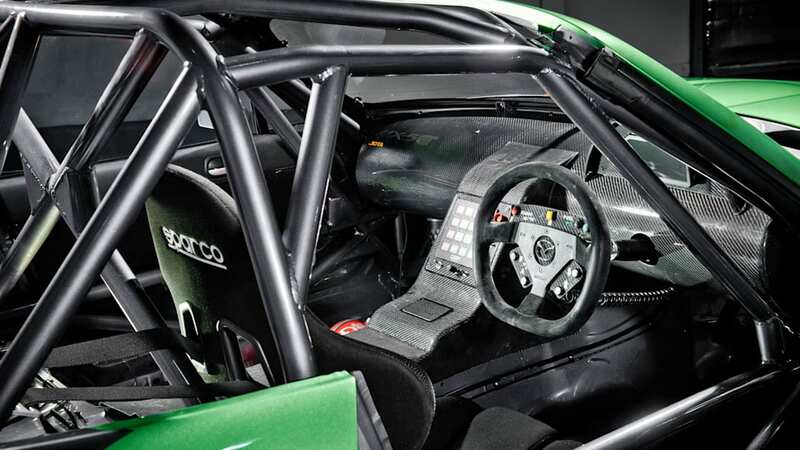 In order to cut several hundred pounds off the base MX-5, the Jota Sport racing team removed interior components, revised other interior fittings and dipped the car's shell in acid. The doors, like many interior components, are made of carbon fiber and the windows are made of polycarbonate. The racing team also lowered the engine height, adjusted the suspension and added a six-speed paddle shift transmission to aid with handling. The Mazda MX-5 GT race car sees its first action on Saturday at a three-hour endurance race at Silverstone. See the lightweight MX-5 for yourself in the gallery below. Trust us, you're going to want one. Weighing in at just 850kg, the Mazda MX-5 GT race car will accelerate from 0-to-60mph in just three seconds and hit a top speed of 160mph. The build of the car has been an engineering challenge to get the weight as low as possible using Mazda's gram strategy as the inspiration. Jota Sport examined every nut and bolt to reduce component weight and then match the power to the weight to give the lightest and most powerful MX-5 ever built. Mazda is renowned for challenging conventions so the motivation to develop a MX-5 GT car comes naturally. It also comes at a time when Mazda has recently celebrated a number of milestones for MX-5 including its 21st anniversary and producing 900,000 MX-5 units globally since its introduction in 1989, with over 10 percent of global MX-5 sales from Britain. Meanwhile, the Mazda MX-5 continues to hold the Guinness World Record as the world's best‑selling roadster - testament to its continued popularity with British open top sports car fans. 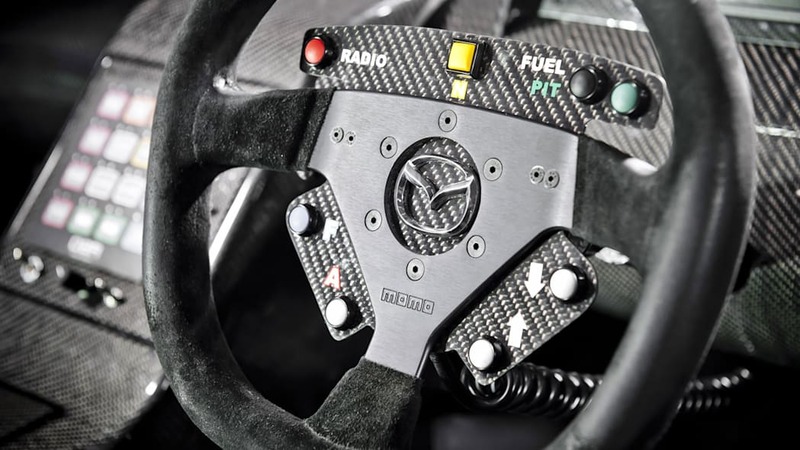 "The MX-5 production race car's modest power output, bullet proof reliability and nimble handling demonstrated last year how the MX-5 can be competitive against some of the purpose-built Lotus, VW and BMW race cars. With a higher power output combined with the durability, reliability and handling attributes that the MX-5 is renowned for; the MX-5 GT race car will be strong contender against the more powerful race cars in its class," comments Graeme Fudge, PR Director, Mazda UK.